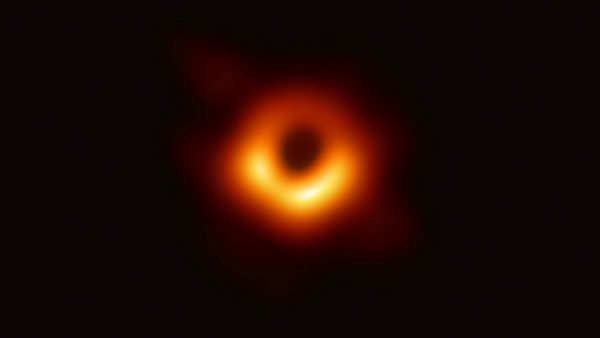 Home Tags Posts tagged with "supermassive black hole"
Vast amounts of gas and dust have been detected in the galaxy that contains the most distant supermassive black hole known to science, announced astronomers. The galaxy, called J1120+0641, is so far away, its light has taken more than 13 billion years to reach Earth. Researchers say they were surprised to see so much carbon in the observations. The element is made via nuclear fusion of helium in massive stars and ejected when these giants end their lives in dramatic supernova explosions. It is an indication of just how dynamic the early Universe must have been, said Bram Venemans, of the Max-Planck Institute for Astronomy in Heidelberg, Germany. “The glow of carbon tells us there are stars being formed, and the dust also tells us that – that there is lots of ultraviolet light [from bright new stars] heating the dust. But the amount of carbon we can derive means a lot of stars must have formed and produced this carbon,” said Dr. Bram Venemans. Dr. Bram Venemans was speaking here in Manchester at the UK National Astronomy Meeting (NAM). He and colleagues used the IRAM array of millimetre-wave telescopes in the French Alps to make their study of J1120+0641. They see the distant galaxy as it was just 740 million years after the Big Bang, when the abundance of chemical elements in the cosmos would have been dominated far more by hydrogen and helium than it is today. The supermassive black hole at the galaxy’s core is about two billion times the mass of our sun, and shines as it shreds the matter falling into it. The team might have expected to see a strong signal for heavier elements (or “metals” as astronomers refer to them) in this energetic emission, but the IRAM detects carbon across the galaxy. “We found this accreting black hole and you see these metal lines, and that is not too surprising. This is quite a small region of space and you only need a couple of stars to go into the black hole to pollute its signal. But it’s the same across the galaxy,” Dr. Bram Venemans explained. This indicates J1120+0641 is rapidly producing stars, cycling heavier and heavier elements as they go though the generations. 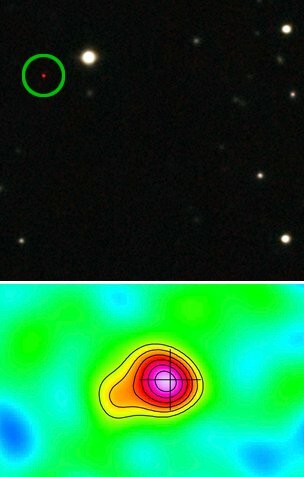 From their observations, Dr. Bram Venemans and colleagues calculate that J1120+0641 was forming those stars at a rate 100 times that seen in our Milky Way Galaxy today. This is not quite as fast as some big galaxies later in cosmic time, but it is still an impressive performance. “The presence of so much carbon confirms that massive star formation must have occurred in the short period between the Big Bang and the time we are now observing the galaxy,” the Heidelberg researcher said. The team credits the success of its study to a recent upgrade to the IRAM facility, which sits 2,550-m up on the Plateau de Bure. The processing of the signals received by the observatory’s six dishes is now much improved. “We would not have been able to detect this emission only a couple years ago,” said team member, Dr. Pierre Cox, director of IRAM.